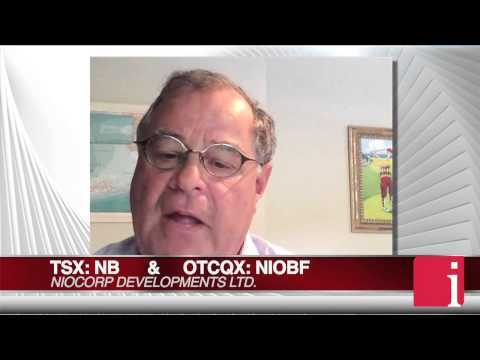 April 22, 2015 — In a special InvestorIntel interview, Publisher Tracy Weslosky speaks with NioCorp Developments Ltd. (TSX: NB | OTCQX: NIOBF) Director Joseph A. Carrabba on the recent positive Preliminary Economic Assessment (PEA) results for the Elk Creek niobium project, which includes both a world class titanium and scandium deposit. Mr. Carrabba who is also a Director for both Newmont Mining Corporation and TimkenSteel Corporation, also discusses the current technology metals market and how he is utilizing his extensive experience and knowledge in exploration and global mining operations to add significant value to the proficiency of the existing NioCorp team. Tracy Weslosky: You recently put out your PEA announcements, we would love your feedback on what these results mean. Joseph Carrabba: Thanks for the opportunity to talk to everybody and all of the shareholders and investors that are out there today. As a company we were excited to release the PEA. I will say this for Mark Smith, the CEO, and Peter Dickie, the President, they did not rush the PEA when they got to the final numbers, which I think is important for the investors to understand. There was a lot of time, even a little extraordinary time spent on the preliminary estimate before we go into feasibility. I know there may be some surprise around the capital number of a $900 million dollar, you know, plus number that goes with it, but in today’s world that’s the cost of doing business in the mineral and mining businesses today. Even with that it supports an extremely robust IRR of the14%-15% of before and after the NPV and taxes that go with it. I think particularly where the investor should focus on is it’s a 36-year mine life. 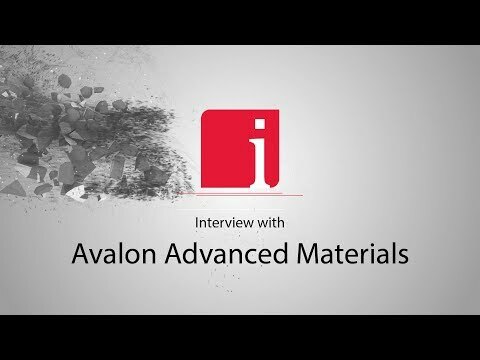 It has high grades of material, particularly for the ferro niobium and it’s got an EBITDA of $177 million dollars. The cash is going to be strong through the remaining years. It’s a long live project that goes with it and the economics, even at this point, with the high capital number that some people may have projected a little less, it’s still an extremely strong project at this stage. Tracy Weslosky: With the Elk Creek project I noticed that the extraction cost for the niobium was quite competitive. I think some people may have stepped over that: would you like to speak to that? Joseph Carrabba: I would. I think you’re exactly right. You know, with the grade that we’ve got of the 0.82%, which is a pretty high grade that we’ve got with it for the underground mine, when we step back and we only have to mine 3,700 tons a day, if you will, that’s a pretty small underground mining operation. When you start shrinking that back into the scale of this project, so for the shaft development that we’re going to put in, that’s really or I think it makes us competitive to go with us. So, we’ve used the top mineral processing engineers in the world really for these processes, as well as the rare earth processes that follow on to go with it. Again, I think the team has done a great job driving the operating costs down. The fundamentals are high-grade, which every miner loves to have. It’s hard to beat high-grade when you have that going in. The lower tonnage that that produces of that underground mine it helps shrink the size of the infrastructure. Disclaimer: NioCorp Developments Ltd. is an advertorial member of InvestorIntel.